The tough case consists of two parts that provide the right protection for your iPhone 6. The double layer protection is shock and scratch resistant. Making your iPhone 6 case is something unique by personalizing it with a photo or a design that you like to put on the cover. Making your Personalised iPhone 6 case is very easy in our design module. 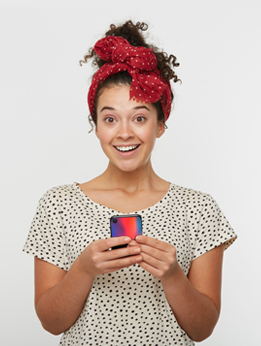 Personalizing your iPhone 6 has never been so much fun!